There's always a lot to think about and organise when moving home, not least the end of tenancy cleaning. Funds can be deducted from the deposit if tenants fail to leave the property in a similar condition to how they found it, so it's important to find the time to clean the property sufficiently yourself or arrange for a professional cleaning company to do it for you. 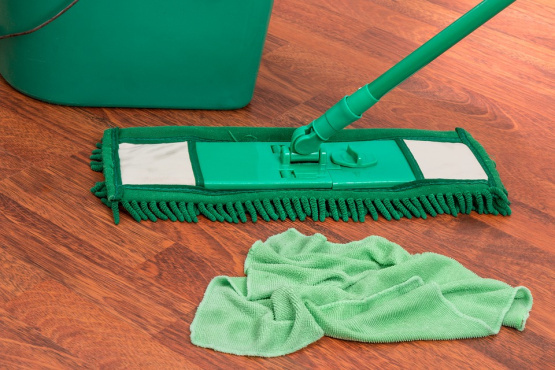 As a letting agent working on behalf of landlords and with tenants, we thought it useful to give tenants a few end of tenancy cleaning tips to help ensure the process is smooth and stress-free for both tenants and landlords. If you are cleaning the property yourself at the conclusion of your tenancy, make sure you consult your 'move in' or 'check in' inventory report. This inventory report details clearly the condition of the property at the time you first moved in, and will provide a benchmark for you when it comes to cleaning. When you read over the inventory report and tenancy agreement, make a checklist of what needs to be cleaned, fixed or replaced. You'll then have a clear idea of what needs to be done, what you might need to buy in preparation for cleaning, and how long it might take you. It's always reassuring to have a checklist, as you'll know what stage you're at and you can tick off tasks when they are done. Naturally it depends on the state of the property and how much needs to be deep cleaned, but it's easy to underestimate how much time to set aside for end of tenancy cleaning. You may need to do it in stages over multiple days. Cleaning a property is a tiring task, and you'll be surprised how long it takes you to complete. Ask yourself if there are any areas which require extra cleaning. In a bid to save money on cleaning products, if you happen to have fresh lemons, vinegar or even bicarbonate of soda about the property, you can put these to good use as cleaning products. In the bathroom, for example, you can clean tiled surfaces, sinks, baths and showers with a dilution of vinegar and hot water or lemon juice and hot water. This will cut through the grime and when rinsed away, will leave the areas looking sparklingly clean. Make sure you use the appropriate cleaning products for each type of surface. It's still easy to miss things when going from room to room to compile your end of tenancy cleaning checklist. For example, remember to clean inside the washing machine and dishwasher to remove any grime. Don't forget to clean inside the fridge and freezer. Also, check the skirting boards and walls for scuff marks and clean these off as best you can. The end of tenancy cleaning process is rarely one a tenant looks forward to, but with the right preparation and working ahead of time, you'll be able to enjoy a smooth move into your next property, minimising the risk of problems occurring for tenants or landlords.